Najorie is using Smore newsletters to spread the word online. In the past ten years, the average number of hurricanes and tropical storms are 10. Some of the disasters caused by hurricanes and tropical storms are tornadoes, flooding, Hurricane Wilma in 2005, Hurricane Katrina in 2005, Hurricane Dennis in 2005, Hurricane Jeanne in 2004, Hurricane Ivan in 2004, Hurricane Frances in 2004, Hurricane Charley and Tropical Storm Bonnie in 2004. To prepare for an upcoming natural disaster people can turn their spare rooms into spare rooms into long-term food storage pantries, they can plant survival gardens, they can turn their homes over to alternative sources of energy, they can take self-defense courses and they can stock up on just about anything you can imagine. Orlando’s history dates back to 1838 and the height of the Seminole Wars. The U.S. Army built Fort Gatlin south of the present day Orlando City limits to protect settlers from attacks by Indians. By 1840, a small community had grown up around the Fort. It was known as Jernigan, named after the Jernigan family, who had established the first permanent settlement in the area. Jernigan had a post office, established May 30th, 1850. As of 2010, the total population of Orlando is 238,300, which is 28.15% more than it was in 2000. Whether you're a long-time resident or you're planning on relocating to Orlando, the City is always looking for innovative ways to serve you better. Not only is Orlando a great place to visit, it's an even better place to live. Florida is home to an amazing array of fish, wildlife, and the habitats in which they live and thrive. These multitudes of species are dependent upon the highly productive natural habitats of Florida, ranging from the tropical coral reefs of the Keys and the magnificent Everglades "river of grass" to the awe-inspiring array of first-magnitude springs and the quiet beauty of the rolling sand hills. Wildlife populations depend on their environment or habitat to receive the basic needs for survival. An ecosystem or habitat provides populations of wildlife with food, water, shelter and space. If all four of these basic needs are not available in a suitable arrangement, populations of wildlife can not exist. 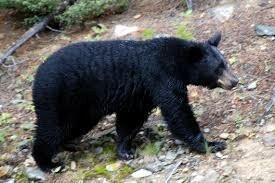 Black bears are large, powerful mammals with rounded ears, short tails, 5-toed feet, and large canine teeth. 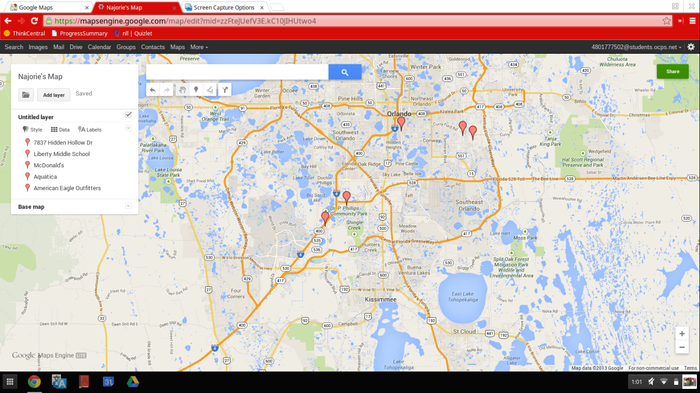 I chose these places because me and my family go to those places a lot and we like them. Me and my family like these places because they are fun and have a lot of good things in there.